Social media advertising is fast grabbing the budgets of traditional advertising. And for good reason. Facebook, the mother of all social media network advertising, has evolved into a sophisticated machine which enables the advertiser to target potential and existing customers, with laser accuracy. Looking for people getting married within 6 months? Perhaps located around Manchester? Perhaps you want to target women only? And those with a specific qualification? It’s all very possible on this multi-layer, multi option system. Whilst Facebook leads the advertising race on social media, other platforms are following. Advertising on social media is a growing area and right now, it’s a moving feast. This image shows the current options available in the UK. It’s also a ‘watch this space’ as Facebook trial new forms of adverts, Instagram opens up to larger budgets and brands in the UK, and if you’re using YouTube, do work with an agency expert as this platform can be a minefield. What are the major advantages of social media advertising? If the audience pool you want isn’t available, the platform won’t recommend the ad. 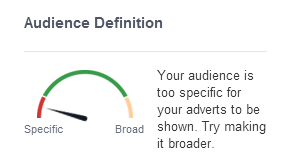 Facebook will even tell you that there aren’t enough people to target! When did a magazine do that for you? The ads are objective-driven. Rather than placing a random ad, the platform wants to know about your campaign goals. Without a goal, it’s difficult to advertise on social media. Device selection options are available, which means that on Facebook you can decide if you would prefer to advertise on desktop computers, mobiles or both. Again, depending on your target audience, this is a great way to sharpen that focus. 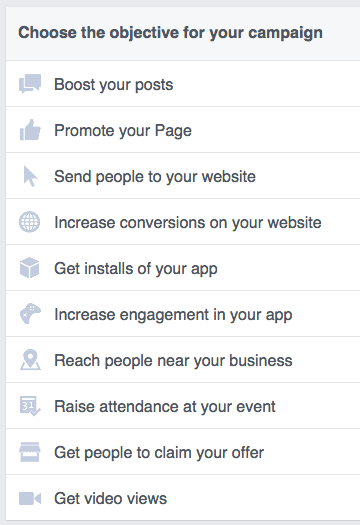 Boosted posts on Facebook and promoted tweets on Twitter look good (like posts not adverts) and generate engagement. You create great content and widen the audience pool, for budgets as small as £25 per day. What works best on social media ads? Social media is led by mobile. This means more people look at social media networks, such as Facebook, Twitter, Instagram on their mobile. Given this, you need great images that work on something the size of a postage stamp. This can be a real challenge for services and for some products. It’s popular to include people on imagery – I’ve used products and images – and I’m always surprised by the results. There is so little space on a social media ad, the headline and content needs to be short and to the point. Don’t waste words! Think carefully about your first three to four words. You have milliseconds to make an impact! Many social media adverts provide the opportunity to add in your web address. The best ads, don’t land prospects at the home page, but provide a direct link to the relevant landing page. This is so important. If you’re in a food store and ask ‘where can I find pizza?’ and an assistant points in a random direction, you might try and find your own way, or you might leave the store and go elsewhere. Online, your visitors simply go elsewhere. They click, they don’t know where they are, they leave. This takes place in fewer than 3 seconds. The landing page needs to tell the visitor that they’re in the right place immediately. Visual clues are needed so there is a connection between the ad, the platform and the page. What are the downsides to social media ads? You can only advertise via the platform. So if you’re looking at LinkedIn, you need to ensure your potential customer base is also on LinkedIn. The same for Facebook, Twitter and other platforms. Always fish where there are fish available. If your audience doesn’t like your ad, they can tell Facebook or Twitter. Clicking on ‘I don’t want to see this’. 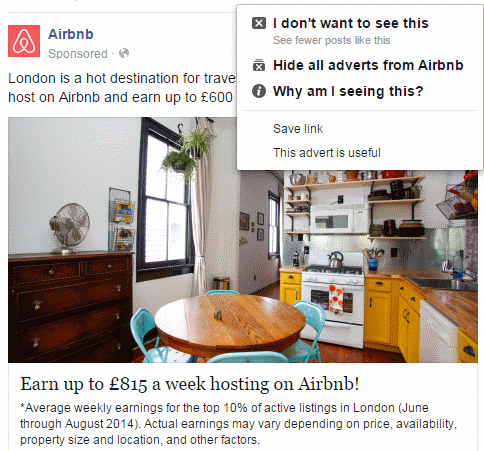 When users click on hide this ad, their options enable them to hide all from the advertiser. However, you don’t know how many people have chosen to do this! Worse still, some may provide even more feedback if there’s an ad they don’t like! What are the top tips for successful social media ads? To gain more from your social media ads, follow these 7 tips. Brand consistently to ensure the same tone of voice across all platforms – this includes imagery as well as words! This post was written by Annmarie Hanlon, social media consultant, and Emarketeers’ social media advertising course leader.